The Buchanan is a boutique hotel with chic ambiance, modern accommodations, attentive service and a Zen vibe. 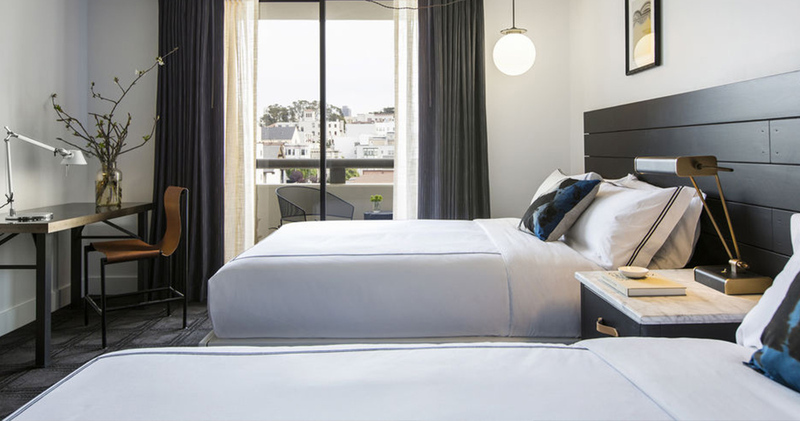 The Buchanan is located at the corner of Buchanan and Sutter streets, close to attractions like Union Square and Alamo Square Park. 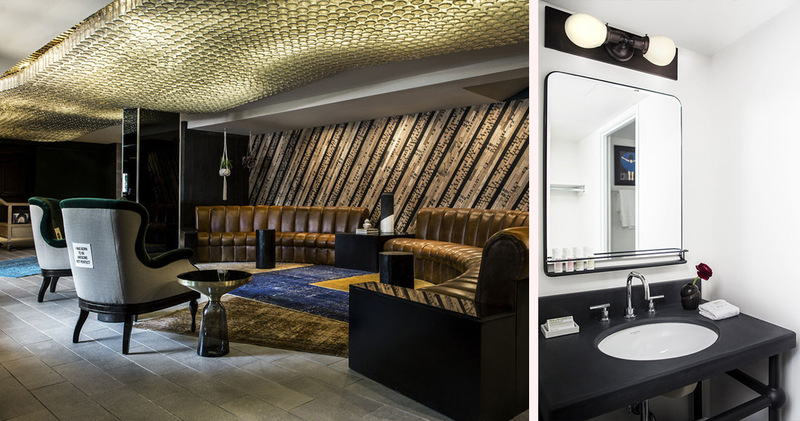 This chic boutique hotel is modern, sultry and inviting. 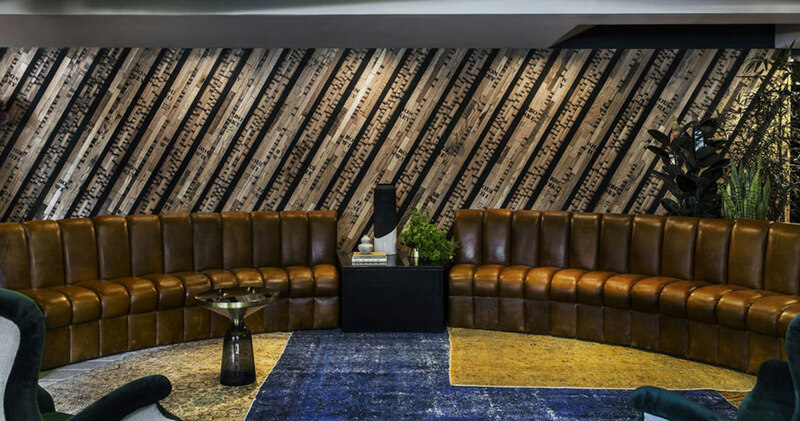 The lobby of the hotel features a mix of vibrant colors like emerald green, brown, yellow and blue with hardwood finishes and plush armchairs. Throughout the lobby are Japanese inspired decor touches and art pieces. 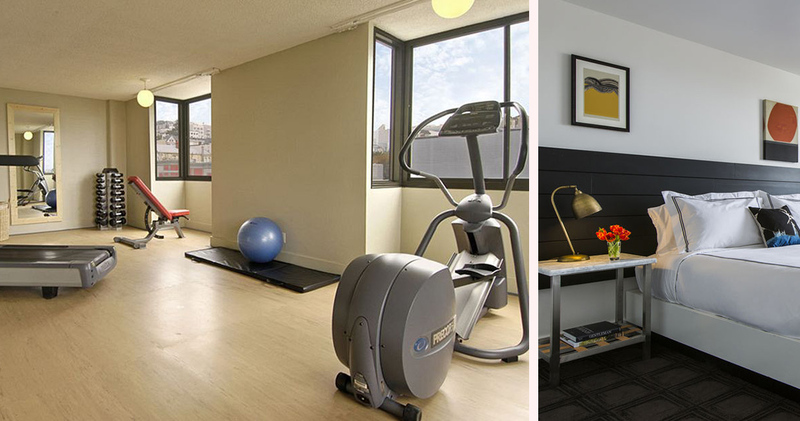 Buchanan Hotel San Francisco offers guests custom PUBLIC bikes that can be borrowed to ride around the city. Each evening guests can socialize at the hotel’s Sake and Wine reception. 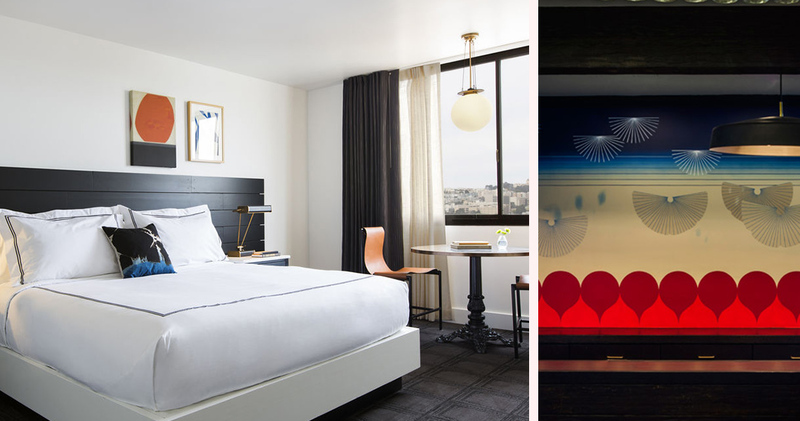 The guestrooms at The Buchanan are urban and stylish with a unique Barbary Coast meets Zen style. 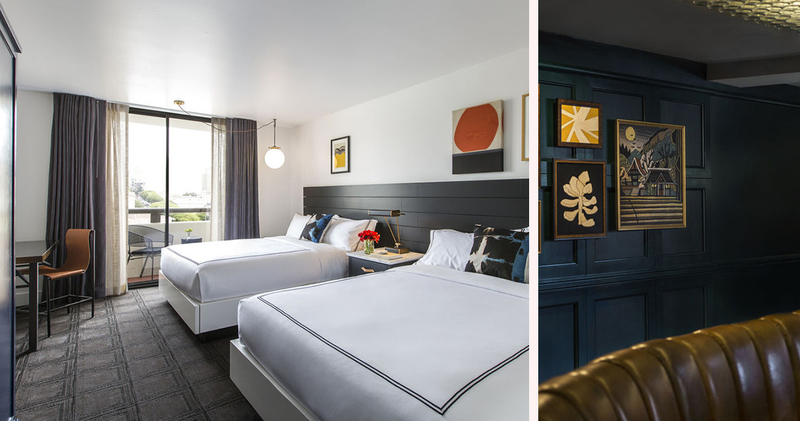 These spacious guestrooms are imbued with textures and colors that pay homage to the diverse neighborhood the hotel is located in. 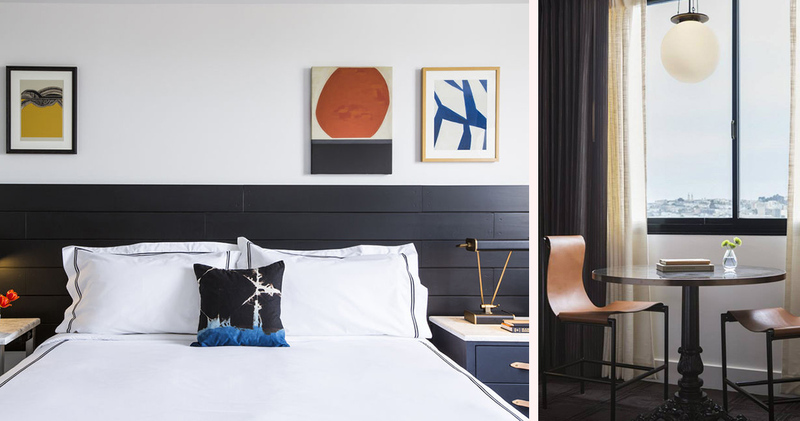 The rooms feature a contemporary black and white color palette with splashes of bright orange, yellow and blue and that comes through the artwork on the walls and the pillows on the bed. The black hardwood furniture and headboard provides a bold contrast to the white walls. Beds feature luxurious European linen. 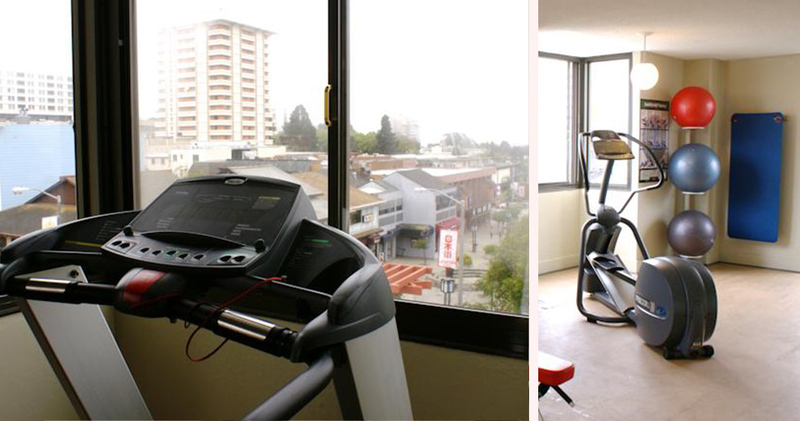 Hotel Buchanan San Francisco offers guests plenty of amenities such as yoga mats and Keurig coffeemakers. Bathrooms are spacious and feature the same modern white and black color palette. The Buchanan is home to the Mums Restaurant. 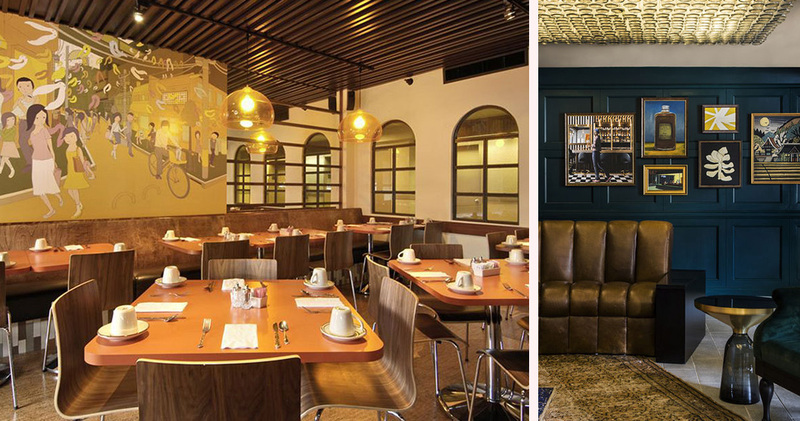 The restaurant features bright hues of orange and brown and has a laid-back, casual style. Mums serves traditional Japanese cuisine along with Shabu-Shabu.